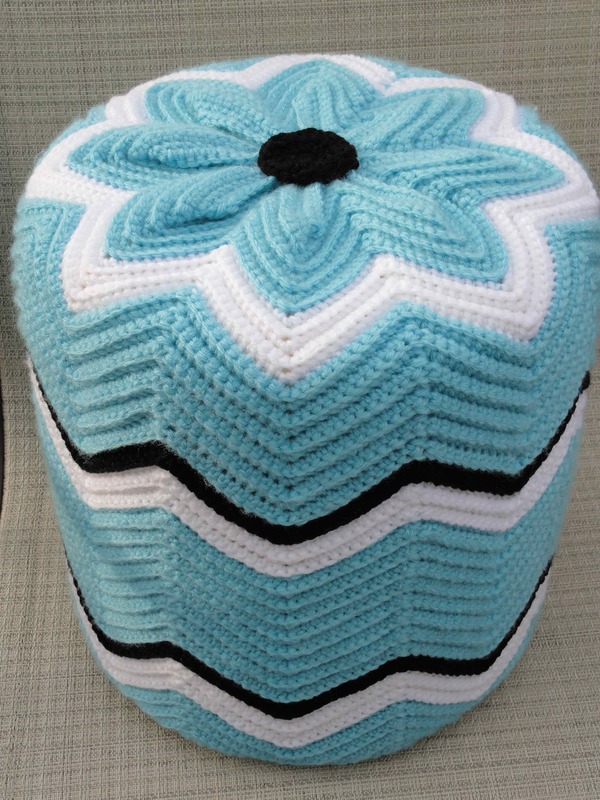 The foot stool/pouf/tuffet is Ta-Done! And to think, I was going to scrap the project for lack of interest. 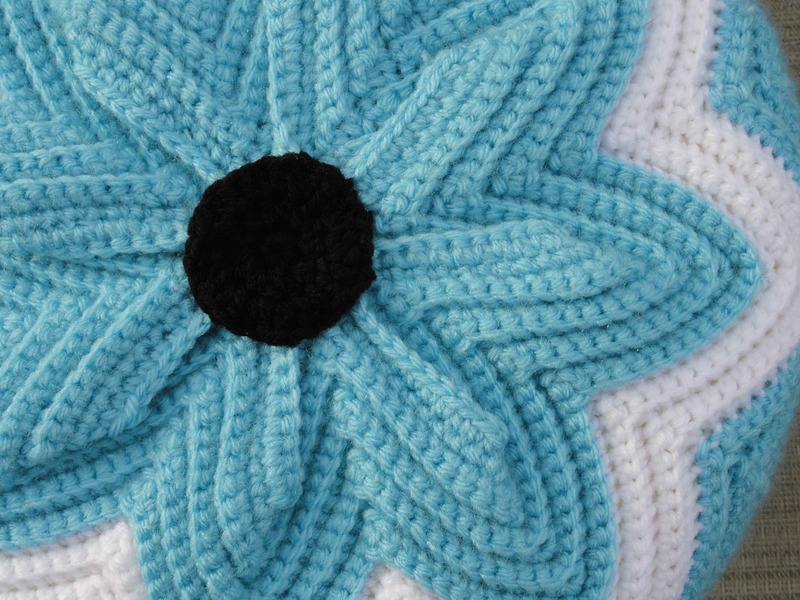 You can find a link to the base pattern I used through my pinterest board here. 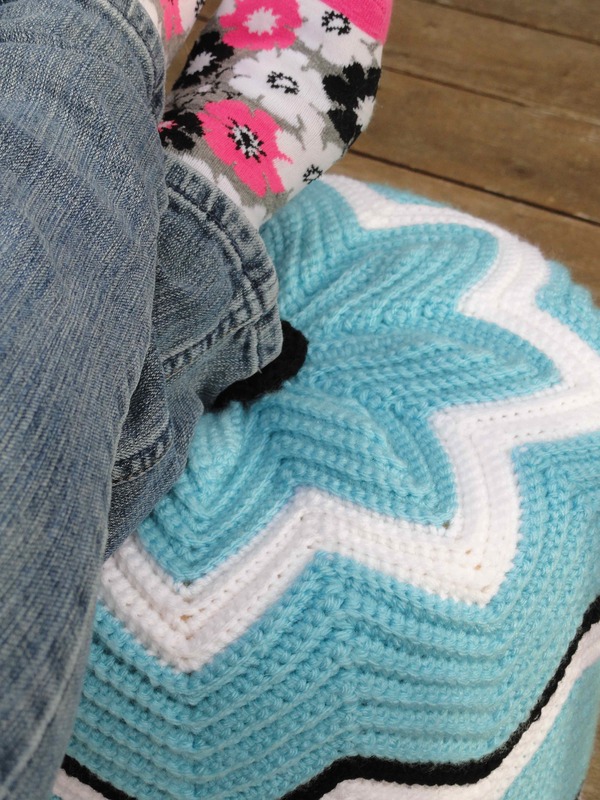 When I am a little old crazy cat lady, I can sit in my wooden rocking chair with my feet propped and crochet all day and night. I like it! Great colors and looks comfy! So glad you didn’t scrap this project! Love the color combinations. Excellent work, and good on you for hanging in there. I’m not footbally but I love the colours anyway. It’s wonderful when the big jobs get finished, isn’t it? I’m speaking from memory here, haven’t finished a Big Job in Far Too Long. wow, that look cool! About how long did it take you to make this? Are you willing to share the pattern? Great color’s too! I had to extend the number of rows to fit over my foam form. As for how long it took, I have no earthly idea because I messed with it for many months and it was ignored for long periods of time.